Writing a research paper includes many detailed tasks. From choosing your topic to citing sources, there are skills and challenges to be mastered and demonstrated. Whether it’s APA style or MLA style, citing relevant sources in your paper is key to gaining the trust of your reader. Without good sources to buttress your case, your paper may not earn the grade that you desire. When writing your research papers or term papers, you will be asked to follow a particular style of documentation. For college students the choices tend to be either MLA or APA styles. No matter which style you use, you will be required to have both an in-text citation and a bibliography listing of the publication information. 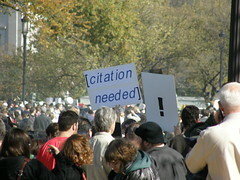 In-text citations are placed within the body of your paper. The citation information appears within parentheses. In-text citations typically include information about the author or title and a reference to a particular passage on a page. The bibliography at the end of your paper lists all of your resources and contains the relevant information that anyone would need in order to find the same information source for themselves. Another important reason to cite your sources is to avoid passing off someone else’s work as your own. You use your sources to help you build your case. You don’t use them to give the impression that you came up with these ideas all by yourself. It’s only right to give credit where credit is due. If you want to know more you can read all about it in The complete guide to referencing and avoiding plagiarism by Colin Neville. This book not only tells you how to consistently cite your sources, it explains why it’s so important to you as a student. And it’s not just about the grade. If the source does not have an identifiable author, then you can use the first few words in the name of the source instead of an author name. If you refer to the author in your lead up to the citation, then you don’t have to include the author name again in the citation itself. You only have to list the page number. Needless to say, videos and web pages won’t have page numbers. In these cases it’s best to introduce your quote or reference to the material by using the author’s name. This will eliminate the need for parentheses at the end of the sentence. For examples of proper MLA format go to Columbus State Community College’s page on Citing sources Using MLA Format. American Psychological Association (APA) style is used most often in the social and behavioral sciences, business and nursing. Here again, you will use in-text citations and a corresponding reference list at the end of your paper. You will place your in-text citation in parentheses directly after your quotation, paraphrase or summary. Include the author’s last name, the publication year and sometimes the page number. If there is no author, then use the first few words of the source’s title instead. Or, you can use a signal phrase such as: “according to . . . ” and then the author’s name. For examples of correct APA citations check out the Cornell University Library APA Citation Style page. At the end of your paper, on a separate page, you will list all of your sources and the relevant information on how to find them. MLA calls this page the Works Cited and APA calls it References. All sources are listed in alphabetical order by the last name of the primary author of the piece. Sources without an identifiable author are listed by the first significant words in the source’s title. If you haven’t become a member of Questia then take it for a test run for free! What do you find most challenging about citing sources in your research papers? Grow your brain: back to school tips for effective study time! Ross, Loup, Nelson, Botkin, Kost, Smith and Gehlert (2010) stated that ……. Ross, et al. (2010) advises …..
Ross et al. (2010) advises…. This is a good, succinct explanation of the how-to and why of MLA and APA citation styles. I’m going to use it this morning! Regards and many thanks for this wonderful direction. A Work by Three to Five Authors: List all the authors in the signal phrase or in parentheses the first time you cite the source. In subsequent citations, only use the first author’s last name followed by “et al.” in the signal phrase or in parentheses. Notice that the et does not have a period after it. thanks a lot. i can see my research work smiling already. When writing a research paper you will either use APA style or you will use MLA style. Refer to your instructions or syllabus to know which one you are required to use. When in doubt, ask your professor for guidance. Thanks for your helpful tips and emails. I am an Iranian student studying English literature and working on my MA thesis paper. I need to use both MLA and APA in my writings. It will be very pleasant in case I receive further helps concerning my field of study. If you don’t already have a subscription to Questia then you might consider getting one because Questia has tons of literature resources as well as tools to help you write your papers. Appreciating the hard work you put intto your blog and detailed information you present. while that isn’t the same old rehashed material. Great read! We’re glad to be of help. Thank you for reading our blog. I enjoy your tutorial on the use of both APA and MLA format in research referencing. I have learn some basic facts on the academic discourse. That’s great. Cheers!!! Writing a research paper or term paper conclusion DIY book projects: Repurpose books into crafts and gifts!